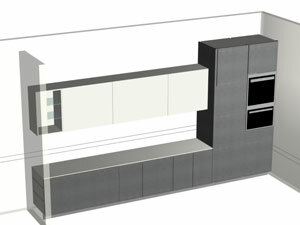 Looking for a fast and accurate way to design and manufacture kitchens? Choose the right option so you can spend more time attracting new business rather than in the workshop and sorting out errors during assembly. 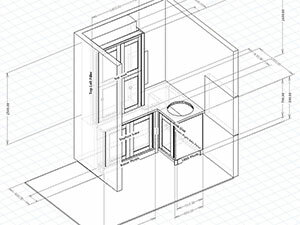 We hear from a lot of kitchen companies who find their current production process is too long, whether that's using a CAD package or drawing up by hand during the design phase. Cutting each part in turn is often slow and unreliable as well. 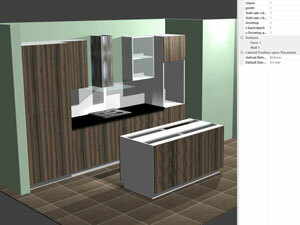 Polyboard is an intuitive parametric kitchen design software rather than CAD based. So you don't draw each and every part, instead you dimension your carcass, then add shelves, doors, uprights and other assembly details. With the click of a button, you can output the cut list, plans and if required CNC files to run your machine. If your customer wants a change, it's very easy to resize, and all parts are automatically updated along with all the manufacturing documents. Instant 3D visuals: as the design process is so quick you can present rendered 3D project to all your prospective clients too, not just wait until a firm order to prepare the design and presentation. This makes it much easier to close the deal. Instant costing based on your material costs and usage and the hardware and fittings in the project. So quoting for your kitchens is accurate and very quick too. Combined that means, unlike many other software solutions, you don't just get nice 3D images. This is a programme for manufacturers too. The output to build your projects is fully integrated, instantaneous and 100% accurate. 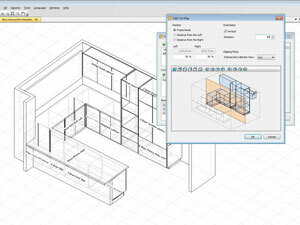 Ultimate design flexibility so you can fine tune exactly how you like to build your carcasses, end units, islands, doors, shelves and everything else. Apply your styles to new projects with the click of a button. Libraries stocked with a large range of kitchen hardware including Blum, Hettich and Häfele hinges, sliders etc, on demand service to help you add your own. Materials library that you can modify and include any material you want. Apply edging exactly how you like, with the details included in your cut list as well. 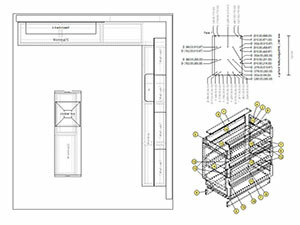 Bar material management to allow true Shaker style facades and other frame and panel assemblies. 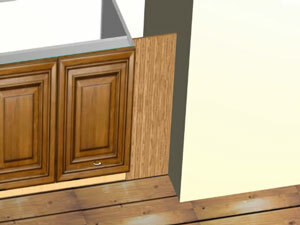 Worktops in any material, and across multiple cabinets, or apply top rails instead to drop in appliances. 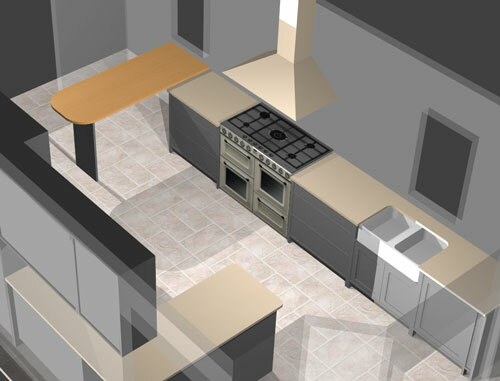 Cookers, sinks, hobs and other units easily rendered in your 3D visuals. Quickly design your units to fit around pipework, columns, girders. Just specify the cut out dimensions and the software does the rest. Also apply fillers, plinths and upper strips. Do you sell to trade as well as end clients? 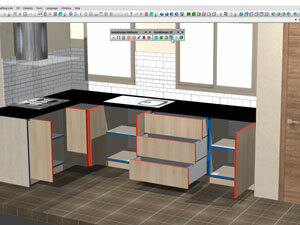 Although you can customise everything in Polyboard, why not set up your own costed kitchen model library as an off the shelf service. 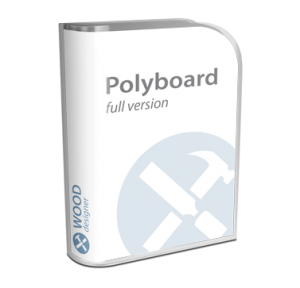 Polyboard is available in a Pro version with all features enabled, or the Pro PP version which includes the post processor add on for CNC integration. 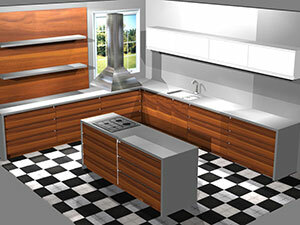 You may also want to consider the entry level Lite version which is limited to rectangular cabinets. For full details of the different versions, please click on the Polyboard Overview below. You'll also find details of our comprehensive support and training services, and finally the option to use our cut list and plan processing service instead of buying the software outright. This is perfect for those working on the occasional or a one-off project. Click below to install and test our professional kitchen design software, or contact us to set up an online demonstration.